“It was a successful mission following extensive coordination,” United Nations Command, Combined Forces Command and U.S. 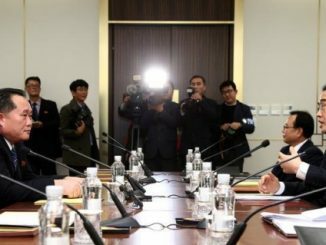 Forces Korea commander Army Gen. Vincent K. Brooks said in the release. “Now, we will prepare to honor our fallen before they continue on their journey home,” Brooks added. “The United States owes a profound debt of gratitude to those American service members who gave their lives in service to their country and we are working diligently to bring them home,” according to a statement released by the White House. “It is a solemn obligation of the United States government to ensure that the remains are handled with dignity and properly accounted for so their families receive them in an honorable manner. 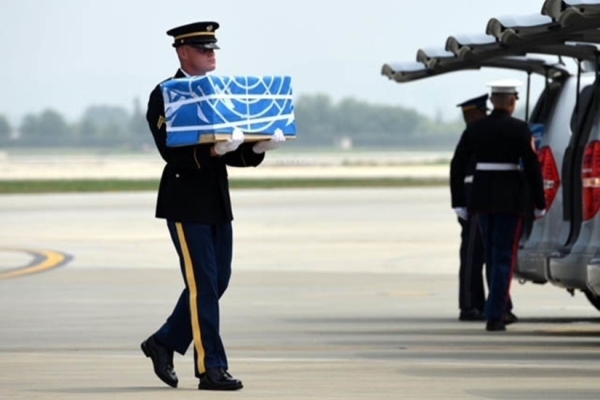 “Today’s actions represent a significant first step to recommence the repatriation of remains from North Korea and to resume field operations in North Korea to search for the estimated 5,300 Americans who have not yet returned home,” the statement added.